As the hero of the story, you get to decide a lot more than just who gets recruited into your army. You also get to decide who you are and what you’re like. Now, with most PC RPGs, that wouldn’t sound like much of a boast. Practically every game out there in this genre lets players make decisions about their character. It can be as simple as choosing your gender, or as complex as plotting your mid-game multi-class switch, but most RPGs have that feature. 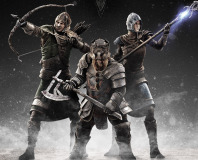 What they don’t have though, is Origins – the titular and major new feature of Dragon Age. The origins mechanic is a brand new feature for BioWare and one which has taken a long time to create as it basically changes the entire game in some way, though how it works is as simple as Minsc and as deceptively powerful as Boo. Basically, when players start a game they choose a number of different options, much as they would do when started a game of Baldur’s Gate. What race do you want to be? What class are you? What are your starting stats? Do you need to choose a racial enemy or set some memorised spells? These are the first steps the game puts you on and, as you’d expect, each decision brings both advantages and disadvantages. 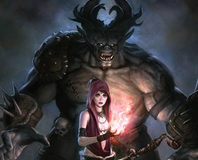 Some classes are only open to certain races for example and different classes and so on might have different limitations – mages may get powerful spells, but will have to work against a world that distrusts and despises them, for example. What makes Dragon Age different though is that how you design your character will change the setting for the first few hours of the game, which BioWare is calling the Origin Story as it explains who and where you come from. BioWare is hoping it’ll help build up a better sense of character for you too but introducing a sense of motivation and narrative to your own player-generated character. So if, for example, you created a character who was an Elven mage then you may find that the first few hours of the game cast you as a young Elf learning his or her craft and enjoying a privileged upbringing. As a human rogue meanwhile you might find your origin is completely different – say, as a pauper who learns to thieve in order to survive life on the streets. Admittedly, one of the limiting factors of the origins (and the game in general) is that there are only three base classes for players to choose from – Warrior, Mage or Rogue. That dwindles a bit compared to the huge variety on offer in the Baldur’s Gate games, but how disapproving we are of this scaling-down will depend largely on how well the different origins hold up. Gauging this though is obviously bound to be more than just a little difficult, because origins don’t just affect the start of the game. They affect the game as a whole. If you take the path of an Elven warrior then you’ll have to cope with the potential stigmas and ramifications that this road brings for the rest of the game. You’ll find that there’ll be a definite reputation laid out for you to deviate from or adhere to. 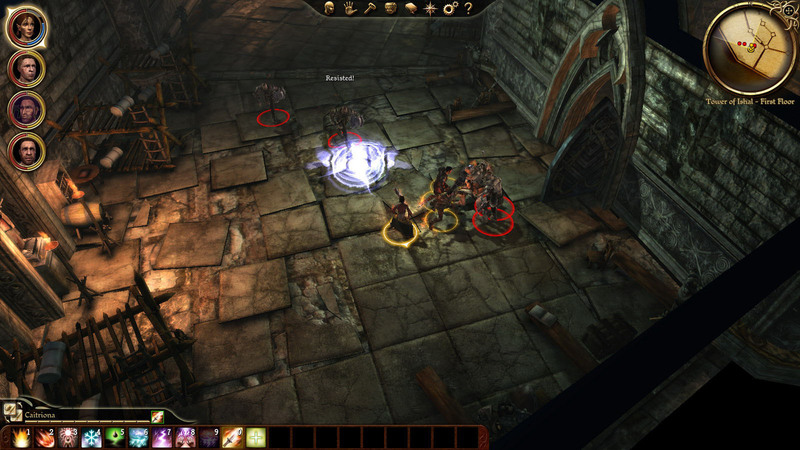 There’s also more dramatic affects to consider based around how you interact with characters in your origin – characters that die in your origin story are not going to be present for the rest of the game and their presence or absence will either add or remove obstacles from your mission to fight the Blight. Does War in the North meaningfully expand on Tolkien's work, or is it just a too-late tie-in? 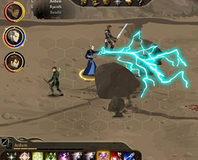 Dragon Age: Origins is being spun-off into a new flash game that will offer a browser-based RPG experience. 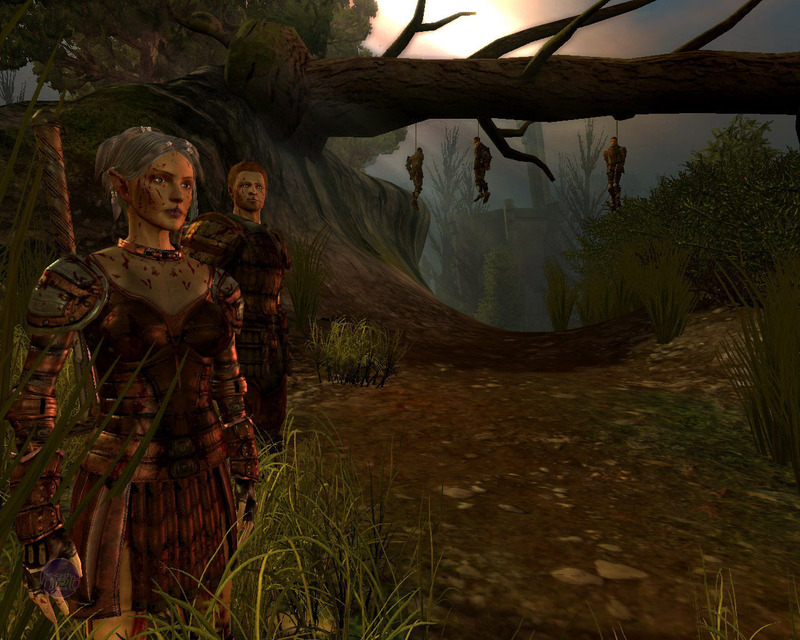 Bioware has announced a pack of free downloadable content for Dragon Age: Origins as an anti-pirate method.